All across the U.S., rural communities’ residents are being left out of modern society and the 21st century economy. I’ve traveled to Kansas, Maine, Texas and other states studying internet access and use — and I hear all the time from people with a crucial need still unmet. Rural Americans want faster, cheaper internet like their city-dwelling compatriots have, letting them work remotely and use online services, to access shopping, news, information and government data. Since the dawn of the internet, rural areas of the U.S. have had less internet access than urban areas. High-speed wired connections are less common, and wireless phone service and signals are weaker than in cities — or absent altogether. Even as rural America’s wired-internet speeds and mobile-phone service have improved, the overall problem remains: Cities’ services have also gotten better, so the rural communities still have comparatively worse service. National standards have not helped: As people, businesses and governments need and want to do more online, the FCC-set minimum data-transmission speeds for broadband service has climbed. The current standard — at least 25 megabits per second downloading and 3 megabits per second uploading — is deemed “ adequate” to stream video and participate in other high-traffic online activities. Rural residents have few choices of internet service providers — or none at all. They pay higher prices for lower-quality service, despite earning less than urban dwellers. A related issue is that fewer rural Americans are online: 39 percent of rural Americans lack home broadband access — in contrast to only 4 percent of urban Americans. And 69 percent of rural Americans use the internet, compared with 75 percent of urban residents. That means less participation in the culture, society, politics and economic activity of the 21st century. The basic problem is that high-speed internet has not yet reached huge swaths of rural America. There are two main ways to fix this problem: with wires and without wires. In our work, we have found a lot of people on tight budgets figuring out how to use local Wi-Fi connections to download content onto their phones, so they use (and pay for) less mobile data. Public libraries, which generally have fast and free Wi-Fi, are popular options in rural areas. Many rural librarians have told us about people in their parking lots after hours simply using the library Wi-Fi. Those connections aren’t always the fastest, but are a testament to the efforts of public libraries over many years to provide their communities’ residents with computer and internet services. 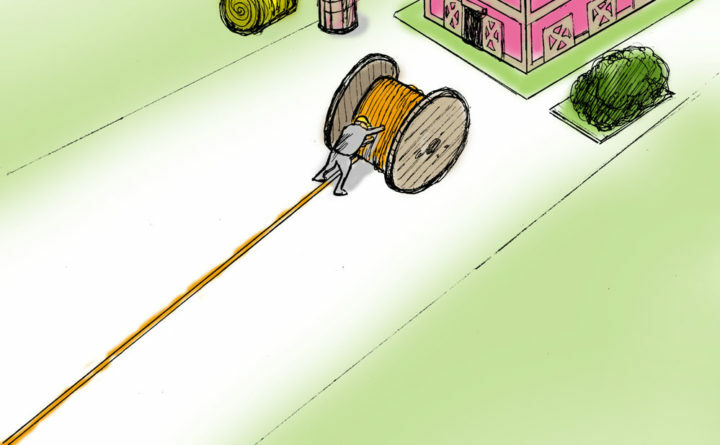 The question facing the FCC and Congress — and really, the U.S. as a whole — is whether we are willing to invest in providing broadband service equitably to both urban and rural Americans. Then we need to make sure it is affordable. Sharon Strover is director of the Telecommunications and Information Policy Institute and a professor of communication at University of Texas at Austin. This piece was originally published on TheConversation.com.